Villas Under the Sun advertises holiday villa rentals on behalf of the owners and allows customers to contact the owner direct to make bookings. They are currently offering free property advertising to villa owners until May 1st 2008. 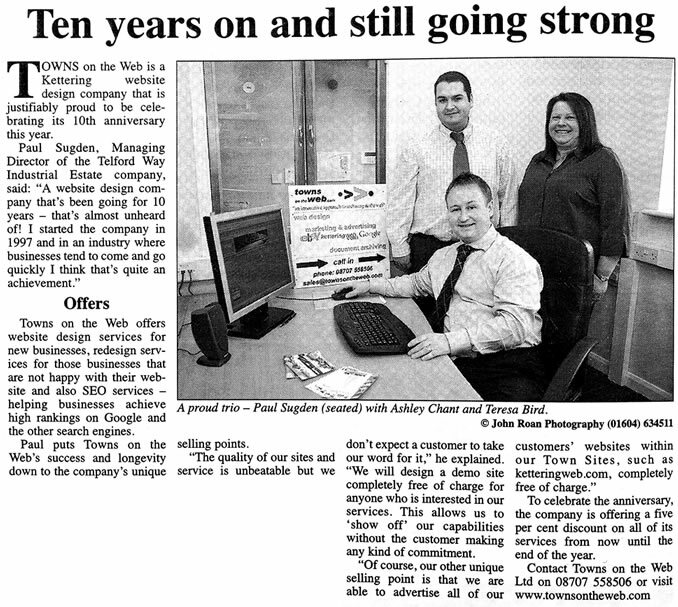 Towns on the Web Ltd provide web design, programming, e-commerce and web hosting services. We specialise in Web Design for Northamptonshire Towns and surrounding areas, we have developed numerous sites for individuals and various size businesses in Milton Kenyes. For examples of our some of our Web Design in Milton Keynes please take a look at our Portfolio. Why choose Milton Keynes Web Design with TOTW?